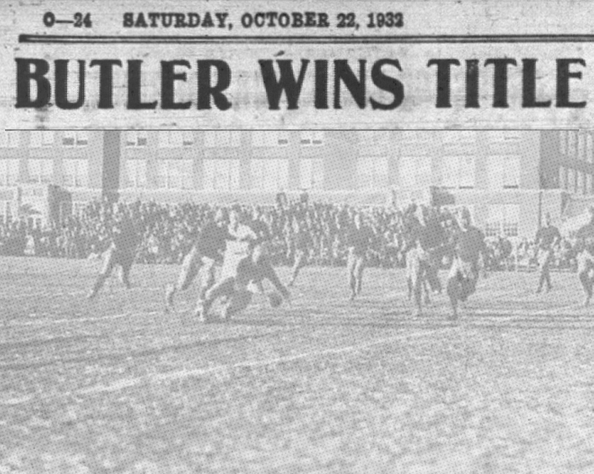 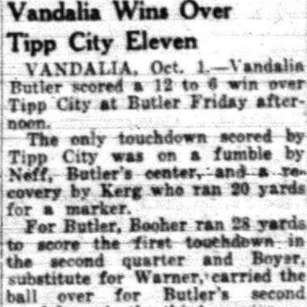 Butler followed up the undefeated 1931 season by repeating perfection a year later 1932. 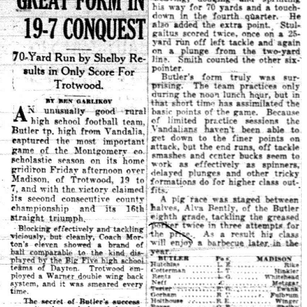 Coach Morton attributed his team's success to a strong understanding of fundamentals. 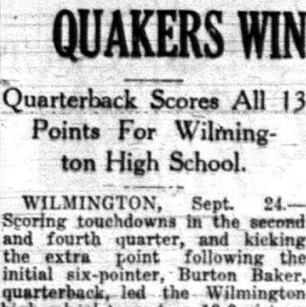 The Dayton Daily News would herald the team as "an unusually good rural high school football team," comparing them to the likes of perennial Dayton powers Steele and Stivers. 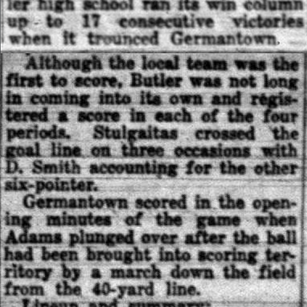 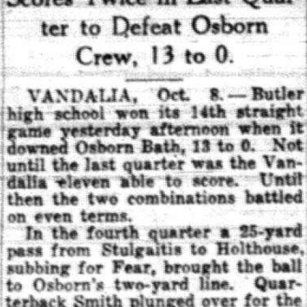 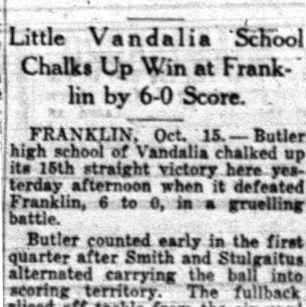 Left - A preview for Butler's upcoming 1932 season, featured in the September 16, 1932 Dayton Daily News.